I knew absolutely nothing about Rive Sud Interior and the designer behind it, Christine Bodino, but I confess to spending quite a bit of time since getting the first press release looking at her work. Ultra modern minimalist interiors might not be something I can live in (too many books, perfume bottles, vintage and antique collectibles, oh, and cats), but I love to admire from afar. But the reason we're here is the limited edition candle collection from Rive Sud Interior, based on fragrances composed by Delphine Thierry (Lubin, Majda Bekkali). 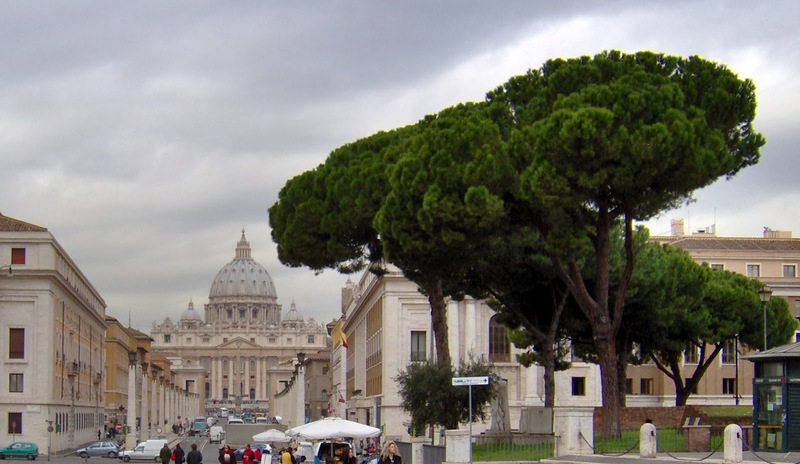 The scent for Via Della Basilica was inspired by a Cesare Pavese poem, Je passerai par la place d’Espagne. If the name Pavese sounds familiar in a perfume kind of way it is because Maria Candida Gentile also turned to him when composing Sideris. Of course, the two are completely unrelated, but now I'm hoping one of my favorite perfumers will create something evoking another beautiful Pavese poem, The Cats Will Know. But back to Via Della Basilica. Only three notes are specifically mentioned: black pepper, incense, and myrrh. It's an obviously churchy incense composition, with its cold stone walls that have absorbed the smoke of candles and incense over the centuries. But Via Della Basilica also has an outdoors component, the air you inhale as you walk up the street on a cold morning in a large European city. Old trees line the road, something smoky is wafting from the carts of street vendors, the cold drizzle of rain. The scent is probably a bit moodier than the standard holiday fare, but I like it very very much. Which brings us to why personally I would not buy Via Della Basilica (or any candle from Rive Sud Interior). It comes down to performance vs. price. While the press sample I received burned evenly and lasted for an adequate time. The throw was minimal and would only scent a small bedroom, not the entire living room, and did not smell much when unlit. However, a full size Rive Sud Interior candle is a massive 1100 gr and has three wicks, so I'm hoping it has a much more impact-- as it should, since the price of this beautifully packaged candle is 250 euro. Available from rivesudinterior.com. You can read another impression of Via Della Basilica by Chemist In A Bottle, and see a list of more affordable yet utterly fabulous candles (as well as tips on how to choose a good candle) by Victoria on Bois de Jasmin. Thanks for posting the link to the Pavese poem. Loved it! And can't imagine how I've not read his work before. Just went to Amazon and got a book of his poetry and a volume of his diaries. The candle sounds lovely, but way, way out of my budget range.